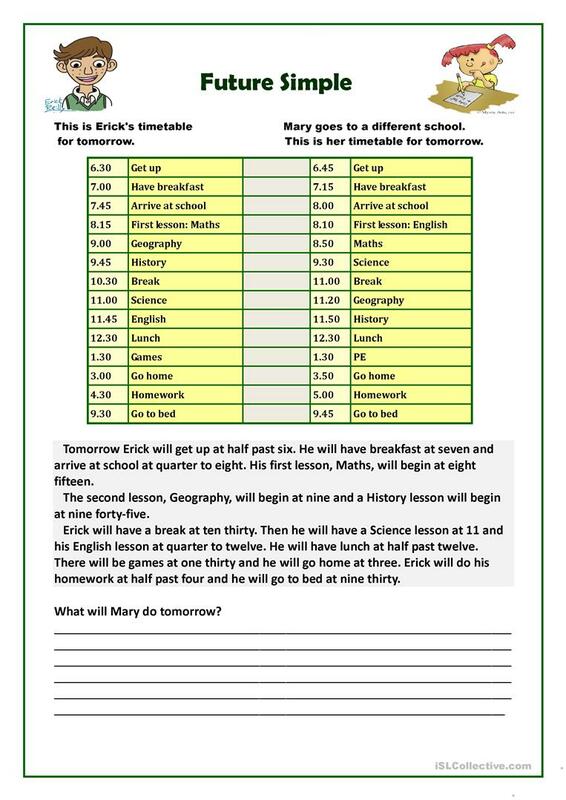 This worksheet is made for elementary students when teaching or revising the Future Simple tense. Hope you will find it helpful and use it in your own classrooms. The above downloadable handout is recommended for elementary school students at Beginner (pre-A1) and Elementary (A1) level. It is a useful material for practising Future simple tense expressed with WILL and Future tenses in English, and can be used for enhancing your students' Speaking, Reading and Writing skills. It focuses on the theme of School. tantana is from/lives in Russia and has been a member of iSLCollective since 2012-11-28 17:09:54. tantana last logged in on 2019-04-23 15:31:43, and has shared 260 resources on iSLCollective so far.